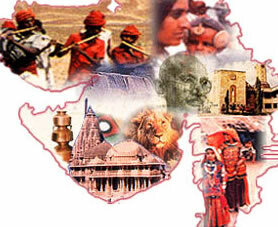 earthian: Hats Off to Gujarat! As part of the national solar power mission, the Gujarat government is setting up 5mw of solar power generating capacity utilising government buildings and household rooftops in Gandhinagar the capital of Gujarat. The initiative is the largest public private partnership (PPP) mode project to be undertaken under the aegis of the solar power mission of such a size. A senior Gujarat government official told Financial Chronicle: “We have floated a draft request for proposal and plan to complete the bids by October. We will choose two companies who will be awarded 2.5 MW each. They will be responsible for building, owning and operating it for 25 years.” The 5mw capacity is expected to cost Rs 100 crore to set up. The rooftops have huge potential for solar power generation, as they remain unused for most of the year. As availability of land is a major issue these days, rooftops seem like a good option. One mega watt of solar project requires around three to four acres of land. In the case of the Gandhinagar pilot project, the Gujarat government will provide access to around 50 building rooftops, which would be sufficient for around 4MW, while the developer will need to tie up around 500 homes, sufficient for 1 MW. The electricity to be generated would be purchased by Torrent Power for a 25-year period. “Around 43 domestic players such as Tata BP Solar, Lanco Solar, Moser Baer and Chemtrols Solar have shown interest in the project, while foreign players too are interested in participating in this growth projects,” said an official of Gujarat Energy Research & Management Institute (GERMI), which is the bid process coordinator for the pilot project. “As a next step we are looking at Surat and Rajkot for similar rooftop projects under the PPP mode,” the state government official added. GERMI feels that other Indian states such as Karnataka, Tamil Nadu, Maharashtra and Punjab also have good potential in rooftop solar applications. Electricity regulators have mandated distribution utilities to have a mandatory component of power generated from renewable sources in their portfolio. This has created a business case for these ventures whose cost per unit is far higher than polluting coal based power generation. Germany is the largest producer of solar power in the world. The country recently announced that they will close all nuclear power plants by 2020 and increase the share of renewables in their energy portfolio to 25 per cent by the end of 2020.